Many new arrivals will be showcased during the month of May in anticipation of Mother’s Day and the beginning of the planting season! Now you can really begin adding colorful annuals to hide that droopy, fading spring bulb foliage. 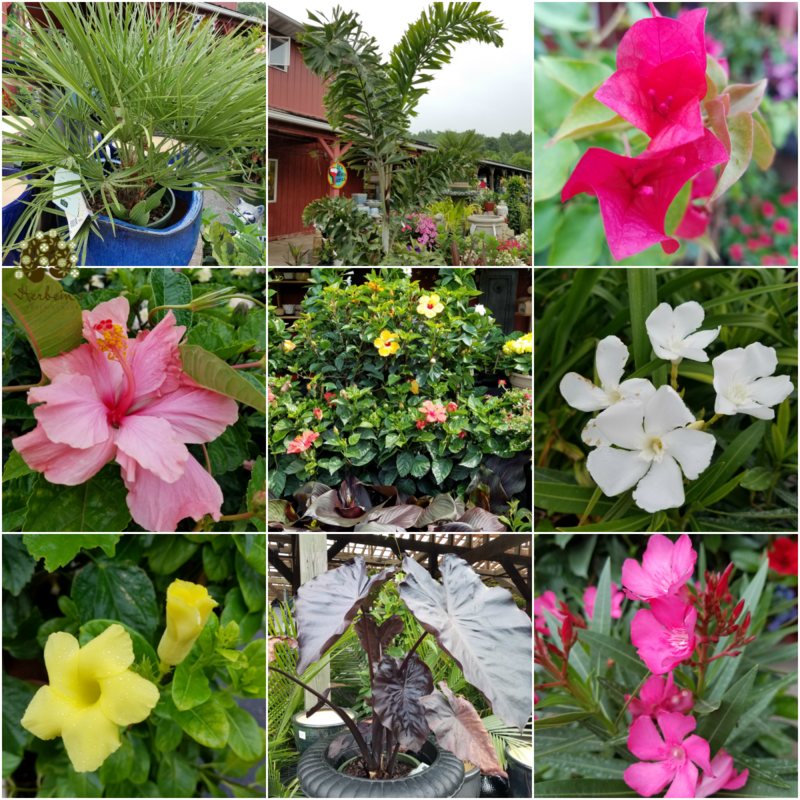 Use begonias, caladium, coleus, lantana, petunias or marigolds that offer you tons of options of color to spruce up those areas of your gardens. Tropicals will be available to add an island and beachy vibe to your deck or patios. Hibiscus, mandevilla and various palms are high in demand for our customer’s relaxing retreats. Grouping flowers together to create an eye-catching splash of color can be so rewarding! 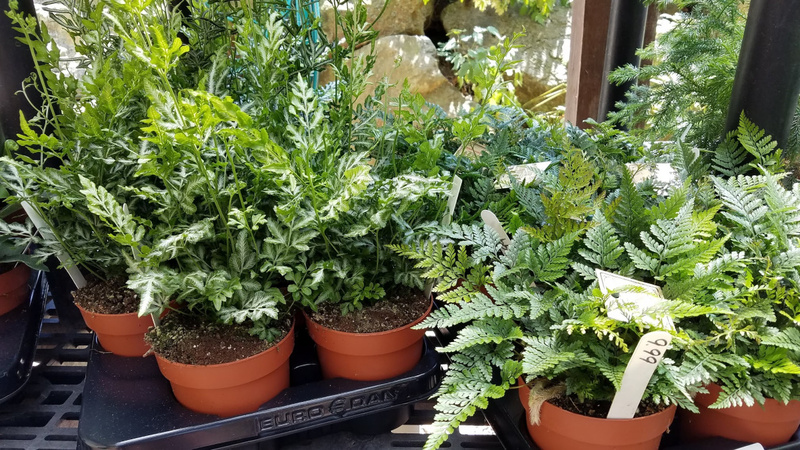 If you are short on time, Herbein’s Garden Center offers combo pots already potted up or you can have us custom design your pot for you! Stop by and let us know what you have in mind. After there is no risk of frost, you can begin planting warm weather vegetables and herbs the ground. Typically this is mid to late May and earlier June in our area. Herbein’s carries over 40 different varieties of tomatoes alone! You’ll also find beans, corn, carrots, cucumber, eggplant, squash, pumpkin, strawberries, blueberries, raspberries and a large selection of both organic vegetables and herbs. 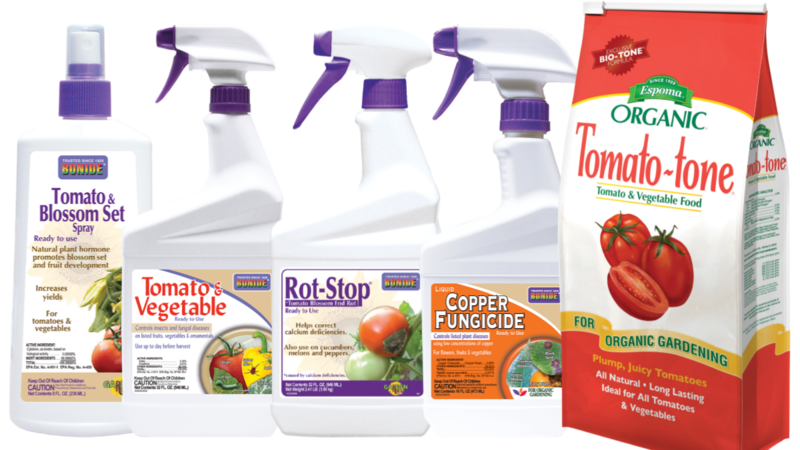 For tomato care, use Bonide Tomato & Blossom Set, Bonide Rot Stop, Bonide Copper Fungicide (for early blight) and Espoma Tomato-Tone fertilizer. Wait until 2-4 weeks after the last frost to move your houseplants outside to the deck or patio and then enjoy them for the summer. Slowly introduce them to more direct sunlight before taking them outside, to prevent the leaves from being burned. Feed houseplants with a good quality plant food like Jack’s Classic or Osmocote for indoor plants. Check for pests such as Azalea lacebug, boxwood leaf miner and psyllid. Treat with a systemic like Bonide Systemic Insect Control or Bayer Advanced Tree & Shrub Insect Control. Prune azaleas right after the flowers fade. Thin out overgrown branches to stimulate new growth from the interior of the plants. You can also use a more aggressive pruning on older, leggy azaleas and fertlilize with Espoma Holly-tone to give it a boost of life and help support it’s growth. Roses are beginning to bloom this month and we have several hundred arriving in time for Mother’s Day making them a perfect gift for her! 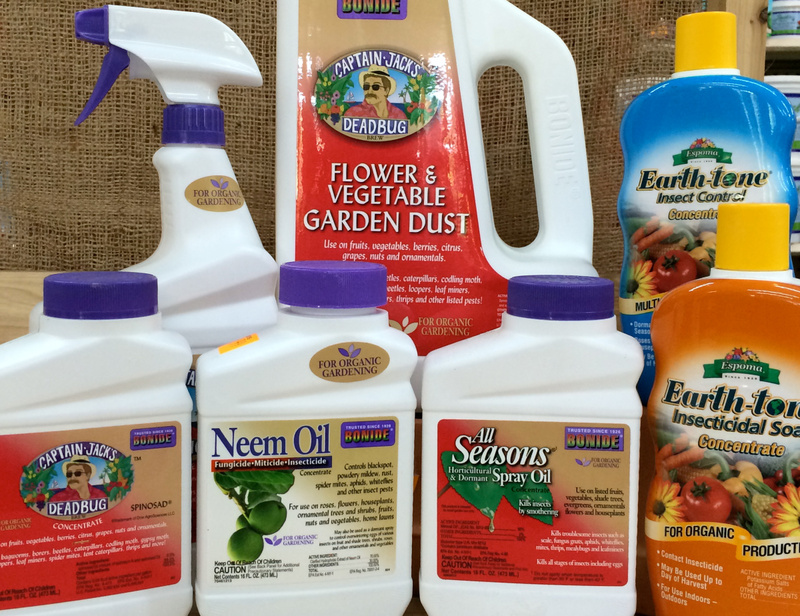 Check your roses at home regularly for insect and disease damage and treat with Bonide’s RoseX or organic Neem Oil. Using Gator Bags on newly planted trees provide a great way to keep them hydrated during hot, dry months. A Gator Bag can release up to 20 gallons of water over a period of 15-20 hours. Blooming in May: Azaleas, Kousa dogwoods, hydrangeas, oakleaf hydrangeas, rhododendrons, spirea Sweetbay magnolias, viburnums and weigelas. Stop by our nursery to see what’s in stock while it’s in bloom! When creating your planters, pots and hanging baskets keep in mind that they will need watered more often than plants that are in the ground. Add Soil-Moist, a water grabbing polymer, to your potting mix to reduce the amount of time you spend watering.